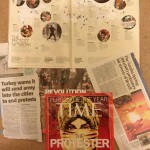 The Protester – literary review! 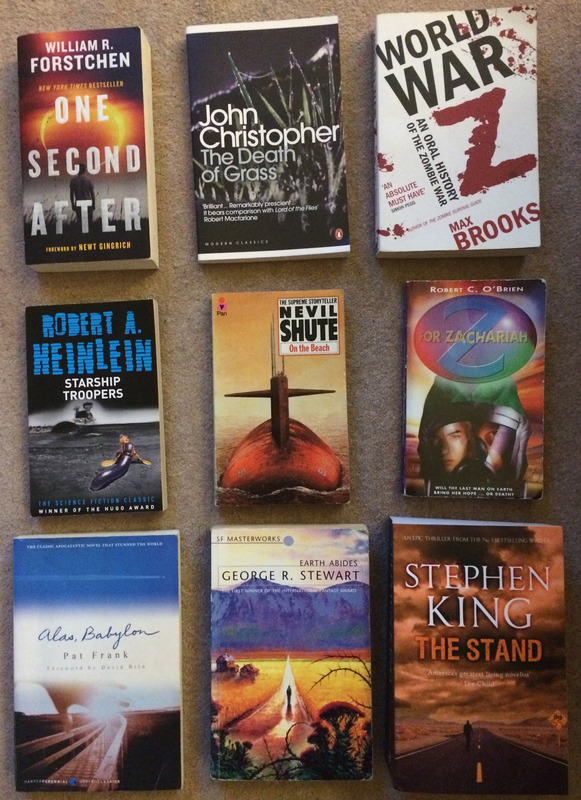 Whilst the albums concept was very much shaped around the Arab Spring uprising and the protesting, the books in the photo below were also consumed in the making of this album…. If you like an apocalyptic novel definitely check out – Z for Zachariah (currently being turned into a film in Hollywood), Alas Babylon and The Death of Grass. 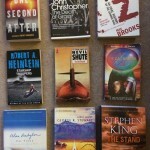 Right I’m off to read a bit more of The Stand, I still havent got through it 1200 pages, it’s enormous!!!! 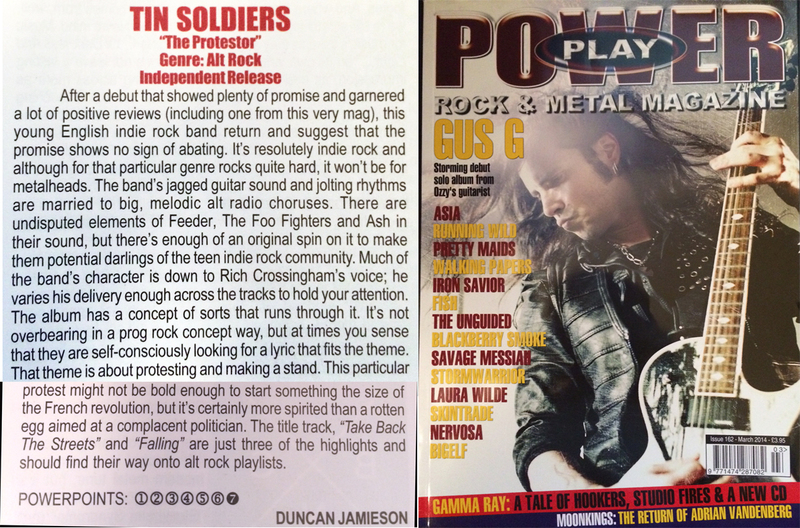 Another review of the album – this time from Power Play magazine!!!! 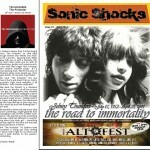 The new issue of Sonic Shocks had this awesome review in it!!! 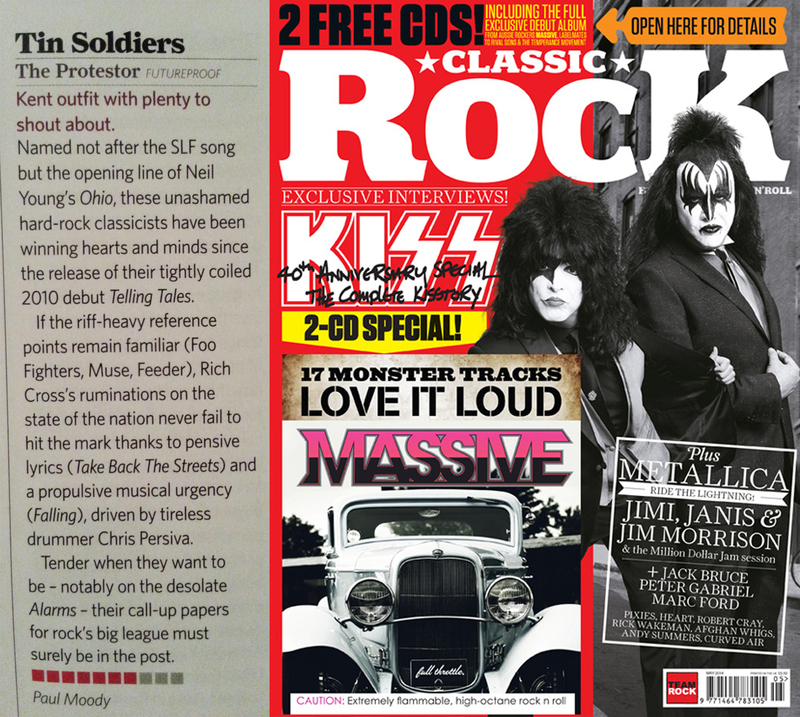 Today’s Classic Rock had a review of The Protester our forthcoming album release!!! 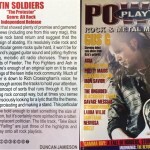 From the opening drum roll and military vibe followed by the ebb and flow of powerful guitar passages this album signals its intention to rock us out of our complacency. For me, it’s one of the most powerful and dark openings to any album I’ve heard in recent years, and is stunning. The title track, ‘The Protester’, explodes out of my speakers with Crossingham sounding as genuine and as passionate as ever. The melody is powerful, the instrumental performances powerful and the overall sonic vibe is one of a live performance rather than a highly over-polished studio recording. The sound is distinctive and if there’s any justice this should be played widely over the airwaves. Terrific! ‘Fight The Fever’ is another radio-friendly guitar rocker while ‘Take Back The Streets’ with its mixed pace and rhythmic underbelly could become the anthem of a lost generation – think Ukraine, think People Power! ‘Talk’ rumbles uncomfortably along at deathly pace with vocal harmonies to-die-for. It’s a reflective song with a wonderfully expressive vocal from Crossingham. ‘Alarms’ goes snare-drum-military with some distinctive guitar chords before the crashing instrumental choruses enter to create a memorable and stupendous close. This is a rock instrumental track par excellence… Then ‘Falling’ thunders in – an epic rock song with melody at its heart and passion in its soul. 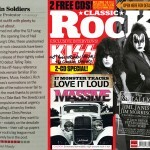 Track after track delivers rock thrills and I believe has fulfilled the band’s aims and objectives. 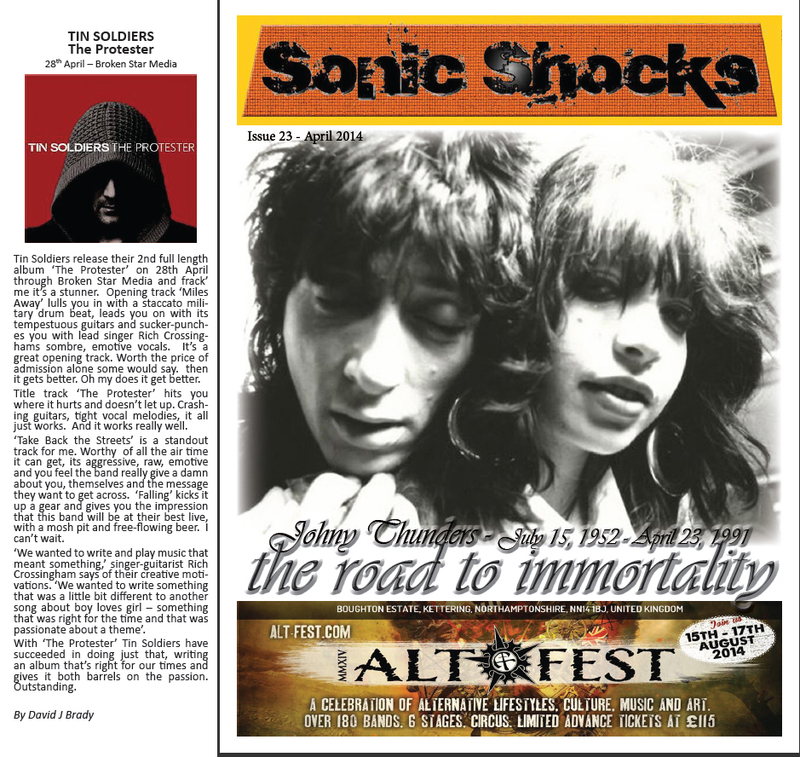 It’s distinctive and deserves the support of radio, the media and fans of the genre. Favourite tracks? I love most of them but ‘Forced To Fight’ is a complex song which somehow manages to mix pace and vibe like few other songs I’ve heard. ‘Not Everything Is Lost’ is also a compelling listen, while ‘The Butterfly Effect’ is a slow-moving, emotional heartbreaker. Hell, in truth, there’s thirteen tracks here of top quality and encourage me to want to see the band performing them live. I reckon that’s job done. 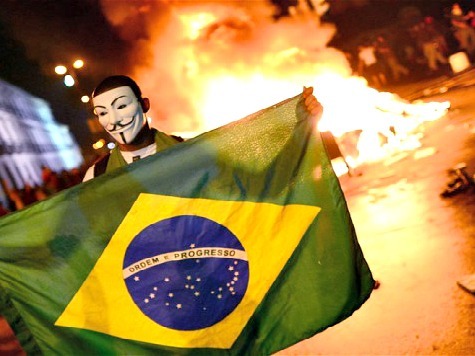 So the album will be released in April and whilst the idea of The Protester was formed around the Arab Springs and the 2011-2012 events around the world, it’s not ever stopped being a topical issue from the protesters in Brazil in 2013 to this month and the Ukraine protests. Take Back The Streets – Single release! Our first single from our second album will be Take Back The Streets. You can see the video (part 2 in the Protester trilogy) via the link below. We’ve had some requests for the lyrics to this song so here they are! And after all the rises and falls, burning twice as fast how long can you last. And someone else asked what is pyrrhic defeat – Pyrrhic defeat theory is the idea that those with the power to change a system, benefit from the way it currently works. So we’ve been asked a lot about the second album recently and what’s it’s going to be like, what it’s about etc. So I thought i’d write a bit about the ideas that helped create the songs. 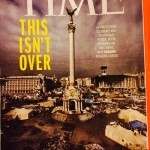 It was early 2012 and I was reading some magazines when a copy of Time magazine caught my eye. 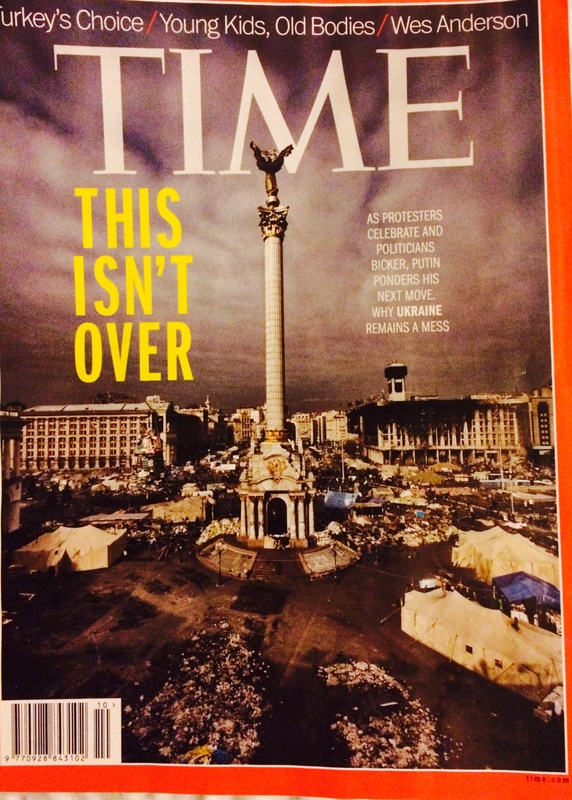 The front cover had the words ‘Person of The Year’ and ‘The Protester’ emblazoned on it. 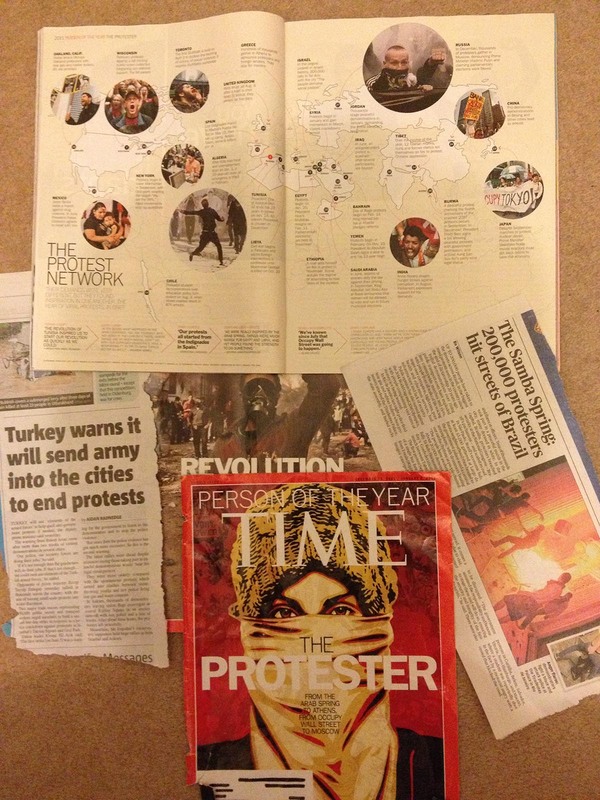 I picked it up and read the article which went into great detail about the Arab spring uprising and the world wide level of protesting that had started in early 2011 and carried on (and are still carrying on now in places like Brazil as well as the Arab countries). The slogans ‘we are the 99%’ started appearing in 2011 and the Occupy events began in New York, California, London and even Tokyo. 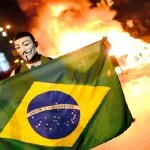 And protests were happening worldwide with Spain, Greece, Russia, Egypt, Tunisia, Libya, Syria and other countries. The opening of the article said – History often emerges only in retrospect. Events become significant only when looked back on…Protests have now occurred in countires whose populations total at least 3 billion people, and the word protest has appeared in newspapers and online exponentially more this past year than at any other time in history. Is there a global tipping point for this frustration? Everywhere it seems, people said they’d had enough. They dissented, they demanded; they did not dispair, even when the answers came back in a cloud of tear gas or a hail of bullets. They literally embodied the idea that individual action can bring collective colossal change. Our new video for forthcoming single is now up on YouTube! It is part 2 of our Protester Trilogy. These 3 videos will stitch together to help tell the story of our forthcoming second album, which will be called The Protester. And yes in true Memento style we’re releasing them backwards.